With the uncertainties which exist around the CDR and Open Banking in the Australian market, what can we learn from those who have already experienced this change? This session will allow an overview of the different stages of implementation in the UK as well as the considerations which should be made based on a hindsight perspective. 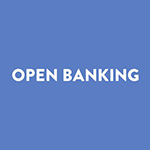 A certain amount of adaptation with regards outlook towards the Open Banking initiative is necessary and here Open Banking UK will discuss why and what the opportunities available are. One year on: an update from the UK and Europe on how Open Banking has been integrated into the financial ecosystem and the subsequent effects felt by business. What are they key considerations to be made on the road to Open Banking application? How can API frameworks benefit your ecosytems in the long term?